Even in his heyday, Dale Murphy was a throwback to a more innocent era. Didn’t cuss. Didn’t drink. Just played the game of baseball the same way, every day. For more than a decade, he was the only reason to tune in TBS and watch the Atlanta Braves. So in the latest debate on baseball — about showing more emotion and personality in the game — you’d expect Dale Murphy of all people to take the old-school side. And you’d be wrong. Lord knows I was wrong. Bryce Harper believes that baseball is a “tired sport,” that bat flips and fist pumps bring more excitement to a game and, in return, a new generation of fans. It’s not showing off, Harper contends, it’s being true to yourself and the game. Mike Trout, of the same generation as Harper and equally at Top 5 player, takes a different view. He’s old school: Respect the game, respect the opponents. I’m far more a Mike Trout fan than a Bryce Harper fan and will always be. But now I feel like a Ted Cruz supporter starting to hear wisdom in a stump speech by Bernie Sanders. It goes against everything I believe. Yet maybe — just maybe — Bryce Harper is on to something. Why? Because Dale Murphy agrees with him. 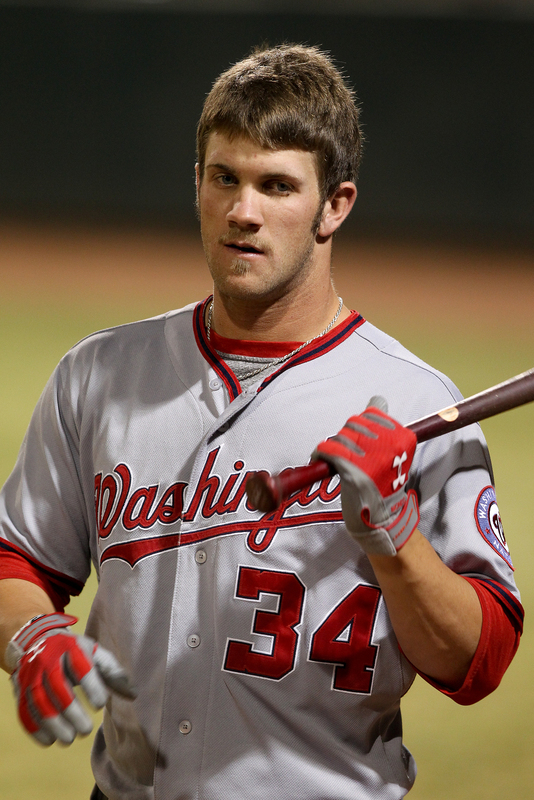 “I hear what Bryce Harper is saying,” Murphy told Joe Posnaski of NBC Sports. Full disclosure: I believe in unwritten rules. I believe you protect your teammates, you play the game for the team, not for yourself. But maybe Murph is on to something. Baseball attendance remains strong. Ratings are consistent. Still, attention spans are shrinking in a world of at-your-phone entertainment. As Murphy told Posnaski, play the game the way you’re comfortable playing, and a new generation of fans will follow. Hard to argue with the Murph.